It seems that once or twice a year we get some new intellectual property demolishing the idea that only sequels perform well, shaking up the market in some exciting way. Despite having no big franchise name attached, it catches the eyes of gamers based on the sheer merit. More importantly, the excitement for these new properties turns out to be justified. BioShock and Borderlands are two such examples. Naughty Dog's The Last of Us looks like it will most certainly become one. These are my favorite types of games. These are the games that should be seen as defining this generation. The ones that provided valuable respite from the sequels and the copycats. The ones that provided the experiences we'll never forget. The ones that did what Dishonored does. Dishonored tells the tale of Corvo Attano, bodyguard to a beloved Empress in a kingdom beset by poverty and plague. After returning from a diplomatic mission, the Empress is assassinated, her daughter kidnapped, and Corvo framed for the crime. After months in captivity, Corvo escapes his captors with the help of a coalition of loyalists, who set him up to become their assassin, dispose of the usurping regent's conspirators, and return Princess Emily to the throne. 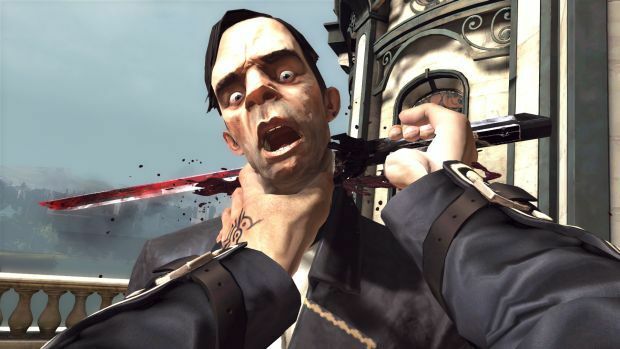 In many ways, Dishonored tells a classic story of conspiracy and revenge, playing it safe by sticking to a rather formulaic plot. Relying on familiar archetypes and well-worn tropes, the narrative doesn't do much to surprise the player. However, by sticking to established territory, Arkane has diverted its energy to telling the story very well, doing a remarkable job of painting the fictional city of Dunwall as a real dismal and oppressive place. The plague-ridden, poverty-stricken streets are beautifully realized in all their misery, painting the picture of a desolate realm that may not even be worth saving. All this in a world that isn't made up of browns and greys. Bright skies and colors abound in Dishonored, yet still the game remains so perfectly murky. The crapsack world of Dishonored is invoked by its characters, especially the unquestionably vile people you're sent to assassinate. From religious hypocrites to cowardly noblemen, the villains of Dishonored are rotten to the core, as ugly outside as they are inside. It is true that most of them play to the kind of tropes we've seen in many "corrupt regime" storylines, but rarely do games present them with the same level of energetic nastiness seen here. Not since Snake Eater's Colonel Volgin have I encountered enemies so deserving of justice. Subtle? Perhaps not. Incredibly rewarding when one of these horrible monsters gets a blade jammed in the trachea? Without a doubt. 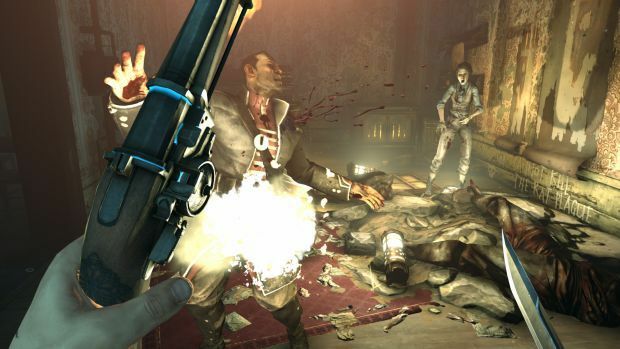 Played from a first-person perspective, Dishonored provides players with ample opportunities to be a rampaging murderer or a stealthy professional. A range of weapons are at Corvo's disposal, from conventional swords and pistols to deadly mine-like traps or rewire tools that turn enemy weapons against their masters. Early in the game, Corvo is also granted magic abilities by the mysterious Outsider, allowing him access to short-range teleports, wind blasts, or a miniature army of rats that swarm guards and eat all evidence of dead bodies. Weapons can be upgraded by finding coins and spending them at Piero's workshop. Piero can upgrade your mask to include optical zooms, make crossbows and pistols more efficient, and craft stealthier boosts or better traps. Magic is upgraded by finding runes scattered throughout each area, located by equipping a magical (and gruesomely detailed) heart that pinpoints each location. Although the heart makes finding the general location of each rune easy, getting to the exact position can be tricky, as a few are deviously well-hidden. The heart also finds bone charms, a limited number of which can be equipped for passive abilities, boosting Corvo's various attacks and defenses. Using magic and equipping charms feels very similar to the Plasmids and Gene Tonics in BioShock, one of several very clear similarities. The loot and health regeneration system are also nearly identical -- certainly not a bad thing, especially if you're a fan of 2K's now-classic shooter. Though a master assassin, Corvo does not necessarily have to kill anybody. In fact, despite having a variety of deliciously effective murder weapons at his disposal, the former bodyguard will never be put in a position where taking a life is necessary, even if it looks like there's no other choice at first glance. A dream game for fans of pacifist runs, every single encounter is designed with player choice in mind. You can murder absolutely anybody, be they enemy or civilian. Conversely, you can become a ghost, wreaking revenge on a psychological as opposed to physical front. The player is given magic powers and weapons that aid either approach, with a crossbow that can fire regular bolts or tranquilizers, and skills that could see Corvo possess a rat and run right under a guard's nose or toss a sticky grenade right into his face and watch him explode. Of course, one can always take a balanced approach -- using stealth to slaughter foes one by one before taking out the remains in bloody combat. It's impressive just how well Arkane managed to bring both stealth and combat up to snuff, with neither element mechanically deficient or dominant. Trying to become a ghost and remain totally unseen is definitely the more challenging approach, but that doesn't mean players attempting such feats are powerless. There's a solid balance of lethal and nonlethal powers, and they all work exactly as intended. The stealth system is quite clever, especially since players can't just hide in shadows and expect not to be seen. True environmental awareness and judicious use of teleportation or possession will be required to get through each level unseen, as is the regular hiding of unconscious or dead guards. Combat, meanwhile, is a more slow-paced and tactical affair than your average run-and-gun experience. Corvo always holds his sword at the ready and can equip anything from offensive spells to pistols, bows, or bombs in the other hand. His firearms need to be manually reloaded after each shot, encouraging careful, well-timed firing. Similarly, enemies are good about blocking and dodging melee attacks, so learning when to defend and counterattack is essential. This deliberate and almost graceful approach to battle means that even murderous players will at least need to be clever and pick their fights wisely. It's more than possible to survive a fight with five guards at once, especially if you're summoning rats and blowing tornadoes around, but you need to have a confident knowledge of Corvo's strengths and limitations before engaging anybody. Just rushing in, blade swinging, will lead to frustration. The emphasis on choice is not paid mere lip service, either. Each chapter of the game holds a true multitude of options for navigation. There are always several ways to infiltrate any territory and multiple methods of dispatching a target. Playing through a mission more than once really opens one's eyes to how impressively versatile each level is and how natural this versatility feels. It's not like there's one violent route and one stealth route, all but signposted with obvious air vents and the like. Stealthy routes are so seamlessly integrated into the environment that some of them are practically camouflaged. Only with astute observation will players find new ways into buildings, which is exactly how it should be. Dunwall regularly feels like a real city that's being exploited by the assassin, rather than a mere videogame level designed blatantly around stealth mechanics. Even if that's all an illusion, it's one that works. Environmental design is impeccable in this instance. With regards to taking out the principal targets of each mission, there are many ways to murder them, and always at least one nonlethal option. There is really nothing stopping you from just barging into a conspirator's room and shooting him or her in the face (aside from guards and security, of course), but for those playing mercifully, there are alternatives. You could set a target's own trap against him or find a way to discredit him so that his influence in the empire is non-existent and any threat to the loyalist cause is terminated. I couldn't describe examples without spoiling some brilliant moments, but suffice it to say there are genius-level ideas on show. Nonlethal options invariably require more guile and patience, but they are among the most satisfying choices, often seeming more cruel and punishing than simply ending the target's life. Whichever approach is taken, it's the getaway that really hits the sweet spot. Once the target is neutralized, Corvo needs to leave the area and find Samuel the boatman to get back home. That feeling of escape, whether you snuck in and out or kicked the doors down and found yourself running with guards in hot pursuit, serve as the ultimate payoff for each mission, and it's a payoff well worth reaching. It's a rare game that manages to deliver psychological rewards so well, but Arkane manages it like an expert. Relief, leading to pure elation, is a dividend received with gratitude every single time. 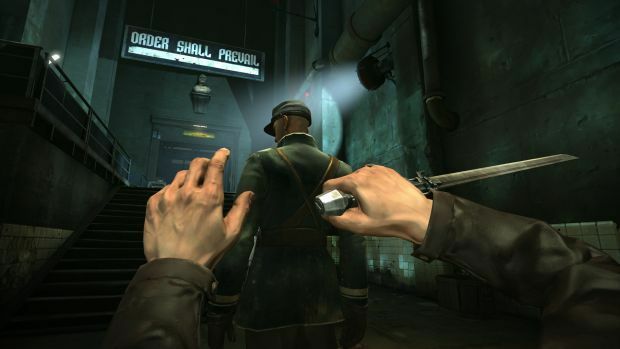 Although players are free to act as they wish, there's no doubt in my mind that Dishonored considers the nonlethal approach the "right" way to play. Not only is it more satisfying to take enemies out by giving them more fitting and ironic punishments, the game world itself makes the player feel more justified for doing so. NPCs will mostly treat Corvo better if he keeps his hands clean, and the ending will be less dark. This is a little philosophically troubling when you consider that simply murdering some of the characters is often less sadistic than the "passive" alternative, but Arkane gets around this by still allowing for some murders while keeping Corvo's soul relatively stainless. 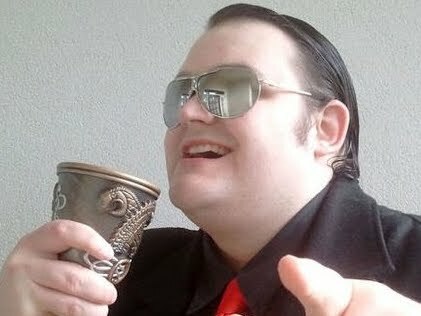 Player actions are not guided by morality but by a "Chaos" system that determines how one's behavior affects the game world. The more brutal your approach, the higher Dunwall's Chaos rating will be, increasing the amount of vicious rats or zombie-like "Weepers" that stalk the streets, attempting to spread the plague. Chaos is quietly monitored in the background, logging how many times the player kills or is spotted, how many dead/unconscious bodies are found, and whether or not alarms are sounded. The more Corvo's "Masked Assassin" persona is seen, the more oppressive the world becomes as paranoia grips the ruling classes. However, as noted, the player doesn't have to be passive at all times. Chaos ratings can be brought down from high levels by completing subsequent missions stealthily, and players are allowed to kill at least several people per mission without raising the rating. That said, there are rankings available for those who kill nobody or remain completely unseen during the course of the campaign, and it's incredibly fun to shoot for such distinctions. 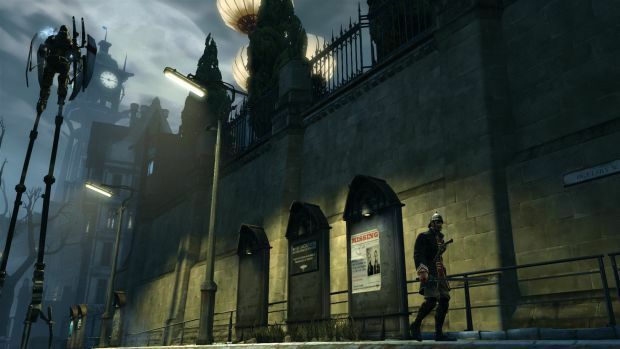 The biggest thing holding Dishonored back is its visuals. Artistically, this is a gorgeous game. The steampunk aesthetic and decadent European architecture is fantastic, as are the exaggerated character models that give everybody a stylistically unpleasant appearance that helps craft the thematically unattractive world. However, the actual graphics seem dated and simplistic, especially when the texture issues are factored into play. Many surfaces are littered with blocky artifacts, and some textures blur or pop in abruptly when approached. Similarly, character animations have trouble with body parts moving through each other. In its worst areas, objects can look like poorly compressed JPGs. While hardly a deal-breaker, these visual setbacks can be hard to ignore in several places. The sound design at least makes up for a big portion of any aesthetic troubles. Daniel Licht lends his vast talent to the soundtrack, producing subtle yet atmospheric tunes, and an all-star cast of voice actors do a solid job of bringing the characters to life. Highlights are Susan Sarandon, pulling a fantastically creepy turn as the deranged Granny Rags, and the ever-talented Brad Dourif taking on the role of awkward genius Piero. My one other, slightly more petty complaint is that I'd have loved to have seen more variety in Corvo's offensive and magical options. While the environment is rife with possibilities, I feel that when it comes to employing one's practical skills, things feel a bit too conventional and obvious. Out of all the spells, only the rats and wind are really useful for offensive players, while the weapons (bows, bombs, pistols and swords) are fairly ordinary. 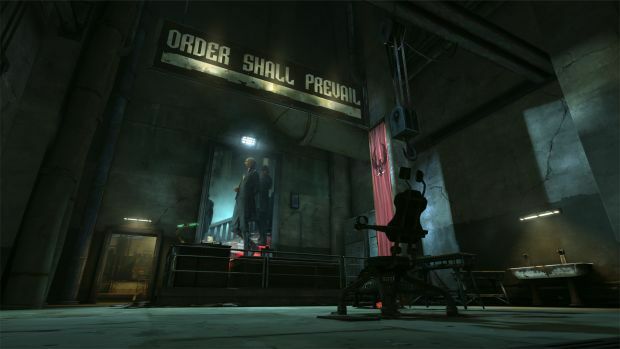 They're fun to use and very well implemented, that I cannot deny, but I do feel this is one area where Arkane could've really gone to town, and it's an opportunity sorely missed. Same goes with some of the stealth powers. Being able to do more with rewired machines or possessed characters could have really added some tactical depth to the ground-level action. To be fair though, the whole rat-summoning thing is one of the more disturbing and unique powers I've seen in a game, so there is at least that one horrifically nasty plaything. In any case, the conventional approach to the player's arsenal does little to undermine exactly how ambitious the rest of the game is. To truly appreciate Dishonored's campaign, it really should be played twice -- or at least have its mission replay menu utilized a few times. 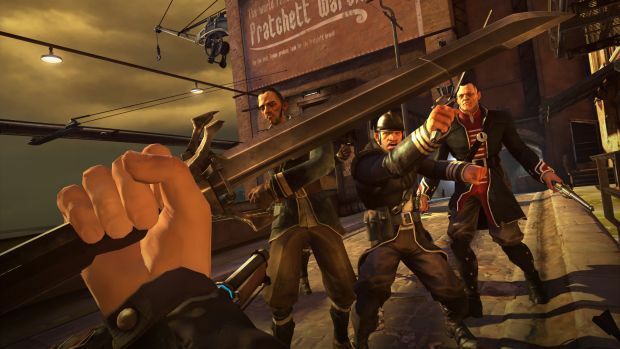 There's more than enough to experience that it's wholly worth playing both a high and low chaos campaign, and it's only when doing so that one gets a real appreciation for everything Dishonored can do. This is a game that set its sights high and tried to balance two distinct play styles. That it attempted this was noble, but that it succeeded so elegantly is inspiring. On the subject of replay, a note about length for those who find it of paramount importance -- you can blast through the campaign in about six hours, if you choose to do a simple kill-all run and don't bother finding items/performing optional tasks. A more realistic run will bring you up to around eight or ten hours, and could take even longer if you choose to go for the subtle ghost runs and nonlethal eliminations. Dishonored is that game of 2012. It's the big intellectual property that comes to retail and shows up the competition by being bold, original, and -- more importantly -- brilliant. 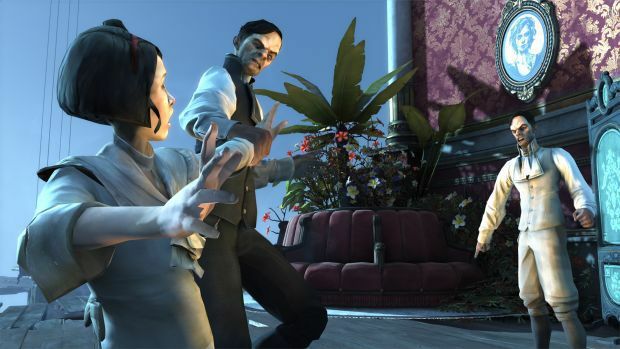 Easily deserving of its place among the BioShocks and the Borderlandses, Arkane's aggressive, non-aggressive, unsubtle, sneaky, thoroughly versatile tale of intrigue makes for the kind of game that reminds us this generation isn't all straightforward shooters and "me too" trend-seekers. Its level design is some of the very best, its willingness to let the player decide their own path is exhilarating, and the satisfaction gleaned from a mission well done leaves one hungry for more. Some dated visuals and a conventional arsenal do little to hold back what a truly beautiful, multifaceted, and ultimately invigorating adventure Dishonored manages to be.